Rule Golf is not a new company, but I will admit that I hadn’t heard the name prior to receiving a package in the mail from them. A little research told me that they are focused primarily on golf accessories like towels, tees, and divot tools. Their vision is that they can help your game by making the minor things we deal with on the course a little easier. I had a chance to review two of their products. Both were towels with somewhat interesting names and characteristics. Note: The white towel in the picture shows the coarse underside, while the gray towel shows the softer topside. Rule says this is towel is, “an all-in-one, hybrid towel that combines an absorbent microfiber face with a coarse, brush-like scrubber backing. Designed to simplify golfers’ games and to save time, the patent pending invisibrush™ towel cleans into the grooves of a golf club better than a towel or brush alone. I’ll admit to a bit of skepticism coming into this review. I’ve had a number of towels on my bag in the last two years, and not many were adept at cleaning dirt from the grooves on my clubs. Even the best were what I’d consider average at most. I’ve used a combination of a damp towel with a steel brush for the last year or so. I received two different sized towels. The white version was the smaller of the two, and it hung conveniently on my golf bag from a carabiner. The gray towel was the larger professional size and was designed to drape over your bag. Both were soft on the top side and coarse on the underside. The scrubbing side doesn’t really look like it will do much at first glance, thought it is pretty rough to the touch. The results in the picture were after a couple minutes of scrubbing, which seemed pretty reasonable when you consider that the grass and mud was over a day old. 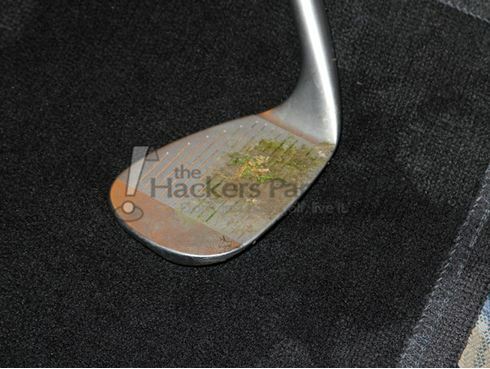 I think wetting the towel down was the key to getting the club as clean as I did. Though they are hard to see in the pictures, the grooves were cleaned quite well. I also tested the rulefourteen towels over a couple rounds of golf in some pretty muddy, springtime conditions. On the golf course, cleaning up my clubs was a little quicker since they hadn’t had a chance to dry. Again, I made sure to dampen the towel before I went out. It did dry out after a while, but I just poured some water on it when that happened. I preferred the smaller white towel over the larger towel for convenience. It comes with a small carabiner that clipped to my bag for easy access. That was completely my personal preference as I know some golfers enjoy the larger towels. Having options is never a bad thing. In all, I was happy with the performance of the towels. They did a nice job of keeping my clubs, including the grooves, clean. A true measure of the performance was that I didn’t have to use my steel brush during the rounds in which I was testing the towels. The first portable waterproof golf ball cleaner that matches style with function to put clean shots at your fingertips. With its lightweight design and patent pending innovation, ruletwentyone’s interior Bamboo Terry stays wet while its soft-feel, waterproof shell keeps pants dry. So no matter where you go you’ll have a wet towel for clean shots and clear putts. Made in the USA. I was pretty impressed with this product from the outset. It really is a neat idea, though maybe a little odd looking. It can best be described as looking very necktie-like. There is an outer shell that is waterproof with a soft fabric liner on the inside. The instructions say to wet the inside, and then you can either clip it to your belt or stick it in your pocket. To clean your golf ball, you just place it inside towel and roll it around until it’s clean. I had two concerns after seeing the product in person. First, would water drip out from the opening? My experience showed that wasn’t an issue. I did wring it out after pouring the water inside it and it stayed damp for a long time. Second, would it be obstructive or annoying while clipped to my pants? Again, I didn’t experience any negatives here. In fact, I’d say it was just about unnoticeable when clipped to my pants. Unfortunately, it was so unnoticeable that I didn’t notice when it fell off my pants and I ended up losing it. Just a warning that you may want to double check how securely attached it is if you choose not to put it in your pocket. Fortunately, I did have a chance to clean a number of golf balls with the ruletwentyone towel prior to losing it. It worked as advertised while I had it. I found it very easy to clean my golf ball within a couple seconds. I was really disappointed to have lost it as it proved to be really convenient. I’ve had more towels on my bag than I’ve had drivers in the last 18 months. 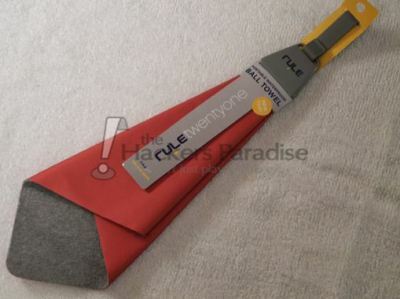 My feeling is that the rulefourteen towel is as good, or better, than any of them. It really did clean my clubs nicely on the course and it looked good on my bag. Aside from the fact that I lost it too fast, the ruletwentyone ball towel may be one of the cooler accessories I’ve seen in awhile. It was handy and did its job really well. For more information on Rule Golf and their line of accessories, you can head over to www.rulegolf.com. As always, thanks for reading and best of luck on the course this year. What is Bridgestone B-Fit Chat? Great review! I really need to update the towels on my bag to something more practical like these. Nice review of these accessories Hawk! Sounds like the tools functioned just as described. I don’t recall seeing a towel as big as the larger one with a coarse side. I think many golfers would find that beneficial who prefer the large towel but just have the regular style which takes longer to clean with. Too bad you lost the clip on, I was definitely intrigued by it but still worry that it may look goofy on. Is the clip not very strong or you think it was user error? Thanks for the great review Hawk, I now have 2 more products that I would not hesitate to buy thanks to your reviews. Great job. Great review Ryan, enjoyed reading this. Sounds like the Rule towel is a pretty high performance towel. 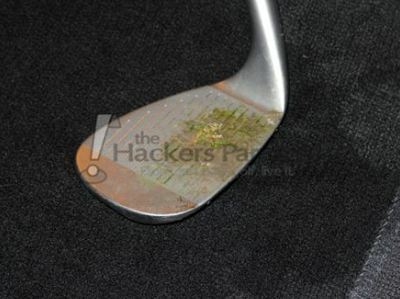 Looks like it did a good job on that wedge, especially as the dirt was dried in. A good towel could be a real time saver on the course. The ball cleaner really is a nice idea. Very handy and small enough to put in a pocket, nice. Great review Ryan. I really like the ruletwentyone product. It has convenience written all over it .Thanks for your time checking this cool product out for us. Great job Ryan. I have been really interesting in the ball towel. I hate that it fell off. I am going to head to http://www.rulegolf.com to check one out. Nice review. 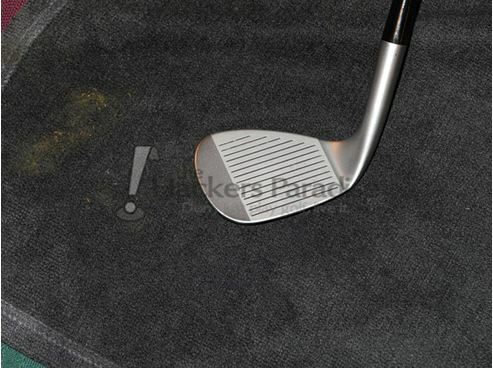 I’m always interested in something like this that can help keep stuff clean on the course. Nice review, does it work better than a regular towel? I’ve never had an issue with my over sized towel I carry with me. Nice job Hawk, this looks like a solid performer for my bag. I’ve tried several different towels and continue to just go back to a brush system, but this might just be the one that can finally get the grooves clean. Nice job Hawk dos Santos. Love the idea of a ball towel but like you, I love mine very quick! Nice review Hawk! I really like the idea of the ball towel. Nice review Hawk, that’s too bad you lost the ball towel so quickly, I’ll bet someone is enjoying it though! Nice review buddy. Sounds like these were real winners, and I will definitely be checking them out. Thanks for the great info. Nice review! This time of year everyone needs a really good towel and both of these sound like winners! Great review and write up! Very informative and entertaining review, Ryan. I actually laughed when you said you lost the one towel! You made me very interested in the towels that go on the bag and I will probably be experimenting with them this year. The one you clip to your belt loop, I don’t think I would like something hanging off me, even though you said it wasn’t very noticeable. Thanks. Cool review! I just backed one of these at the kickstarter campaign they launched. Can’t wait to try it. Cool review! I just backed their kickstarter campaign and got a great deal on one of the big towels. Dude, please tell me that youre going to create extra. I notice you havent written another weblog for a while (Im just catching up myself). Your weblog is just also important to be missed. Youve obtained so very much to say, such knowledge about this subject it would be a shame to see this weblog disappear. The internet needs you, man! Hey Folks! Thanks for the review Ryan! 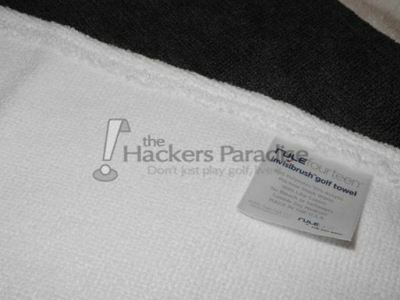 We want to make a special Hacker’s Paradise offer to anyone who’s interested in trying our new towel out. You can go to our website to order and enter Coupon Code: THP and get 20% off anything on the site (including our new rulefourteen towel)! Let us know how you like it. Can we make it even better? If so, how? Thanks again and Happy Golfing!